...and the prices continue to increase massively over the last few months due to high demand and nearly no supply. I will have a CV 3.5/90mm for Nikon coming shortly btw. 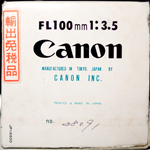 ; the M42 version is already spoken for and on its way to a good friend. Thanks for the store links. U mean for sale ? I thought u sold one already .. I am still kicking myself for not getting one when available new... and at sensible prices too! Piotr: Your images are world-class. You have been making the Apo-Lanthars sing with beauty. Found the MTF - outstanding!! it simply proves the stunning images this lens generates. Height is remarkable, but even more remarkable is the flatness at the edges and the little difference between sagittal and tangential lines. This means the lens has nearly absent field curvature and very minimal spherical aberration. The lens does not enlarge like a real macro but it's edge performance is better than most (if not all) true macro lenses that I have seen. It would be interesting to see the distortion graph. One word of caution, we don't know if these are MTFs made on real production lenses (like Zeiss does) or theoretical MTFs that a computer calculated based on the lens designs (as most companies do). I agree Orio. I haven't seen anything like that for that lens for many months, before I just stumbled about that on a chinese site by coincidence. Most likely it is a computed MTF by rayetracing the theoretical design as most show. Most likely it is a computed MTF by rayetracing the theoretical design as most show. by WILD to Mr Bertele, a Zuse 22 R to allow him to do his excessive lens design computations!! Given the price of the Apo-Lanthar 90, this lens is a better choice than most second hand 90s from Leica on the market and is very close to the performance of the current 2.8/90, which is some act: the apo-lanthar is unbeatable in price/performance relation. I found MTF for the 125 macro at various magnification factors and distances - 1:1, 1:2, 1m and what I assume is infinity. Uploaded here too for posterity. Yes. It means "extremely low dispersion glass"
Had a conversation recently with an authorized CV dealer who said that there's a new Voigtl�nder SL II lens due out late in 2010 but had no additional info. With the SL II (20) 40 and 58 out for some time now and the old SL I 75 non-APO interesting but not great and probably appealing to a limited audience, a fair guess would be that one of the APO's are next. The crazy prices the 125 is fetching on secondary markets cannot have missed the attention of Cosina executives in this weak world economy (last one in a Nikon-mount I saw on eBay sold for US$2100 in November '09). As regards the MTF charts on the CV 90 Klaus kindly shared with us, the only lenses I know of that demonstrate similar extraordinary performance across the board are the Zeiss ZF/ZE 100/2, Leica R 90/2 APO and the Leica R 100/2.8 APO. ha! the new Makro-Planar 2/100 is NOT ZEISS, is it? It's the Cosina's product ! 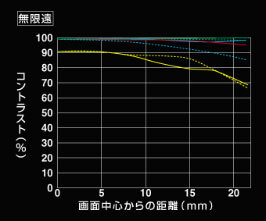 - So my point is that Cosina is NOT ABLE TO PRODUCE better lens for far better price then??? This is REALLY SAD -- on one hand, they produced Apo-Lanthars (price nowadays are crazy!) on the other hand, the Makro-Planar 2/100 is can not be successful on this highly competitive market! So what's going on?? Cosina brand covers perfect product for insane prices (APO-LANTHARS) and the same bloody company is behind the ONE OF MOST FAMOUS brands IN THE GLOBE -- ZEISS and the Makro-Planar 2/100 is WORSE than APO-LANTHARS??? 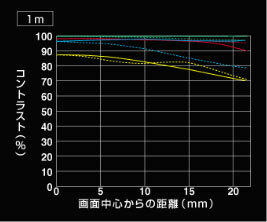 So the weakness of the Makro-Planar 2/100 is weakness of COSINA not ZEISS..
@Stan: I understood that the Makro 2/100mm as well as the other Zx lenses are genuine ZEISS designs, but manufactured to Zeiss given quaility standards by COSINA - a classic subcontracting / outsourcing case. So they are NOT Cosina designs. We should be correct about that to avoid confusion by readers. That Cosina stopped making their own (and better) product in favour of getting a several digit millon $ deal can be fully understood - who would not have signed that contrast in these economic times!? So that design weakness is a ZEISS issue, just to make things crystal clear (pun intended)! The Marko-Planar is a Zeiss design, made by Cosina. The Apo-Lanthars are Cosina designs. Behind the brand names, there are people working. Erhard Glatzel, Walter Woeltche, Heinrich Basista are those who made Zeiss lenses the top in the 60s, 70s and 80s with the Contarex and Contax SLR line of lenses. It is obvious, and not only by the newer Makro-Planar 100, that the real designers who are behind the Zeiss name and lenses today, are not up to the tradition. 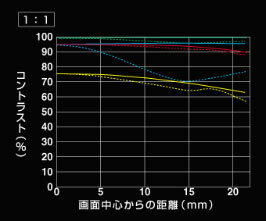 One common mantra is to blame Cosina for the quality control in the Z line of lenses. And compare them with how Kyocera was effective. I think that the Voigtlaender SL line of lenses proves that Cosina is able to do both the building and the QC jobs quite right. Whereas the Z line of lenses proves that it is effeectively Zeiss which supervises the production, and it is Zeiss to blame for the not ideal QC and the shortcomings in performance of some of the Z lenses. Let's say -- ZEISS handling + COSINA investments (? - if any) = ZEISS MAKRO-PLANAR 2/100 is a crap in this MARKET - the question is WHY. Speaking about economy CLIMATE = people spending STILL the same amount of money or even more in this time! Why? They are trying to save their money by making investments - Zeiss 2/100 is NOT A GOOD OPTION ..
3 - to make a profit on them ..
Orio - has made a good point - people .. This is the spirit of the Zeiss -- their people always used to be great in their ideas and approach. the APO-LANTHARS were/are so great -- so why not to use their experience when creating Zeiss desings. @Stan, you're asking questions only your "crystal ball" may be able to answer. A few years ago the marketing manager of Zeiss left Zeiss and went to Leitz in the same position (and experience and very well knowledgeable person) just when they started the Z-series of lenses. Coincidence? @Orio: I full agree about the decline in quality Zeiss once was so very well known of, every single lens had been inspected and tested to fully comply to their very high inhouse standards. This seems to be not the case anymore with their Z-line, since I myself experience also quality issues on my RF lenses and I read about others too. And to re.iterate: this is NOT a COSINA issue, since Zeiss sets the standards, not Cosina. Those were all compelling arguments against the rebirth of Lanthars. Only time will tell whether the dealer I spoke to was right. For all I know, it may be the non-APO 75mm they're bringing back or perhaps the 180 or some other focal length not presently offered or planned by Zeiss. Many of you have mentioned the LCA visible with the Zeiss 100. I suspect for (too) many non-discerning eyes, it simply is not a major factor when stacked up against the extraordinary resolving capabilities and speed of the lens. Personally, the "purple pollution" of an uncorrected lens drives me crazy; the Nikkor 180 ED I have owned since the mid-90's has seen limited use in recent years for this reason alone and what drove me to pick up the CV 180 (which, to be fair, is not perfectly apochromatic either despite the APO designation, but nearly so).